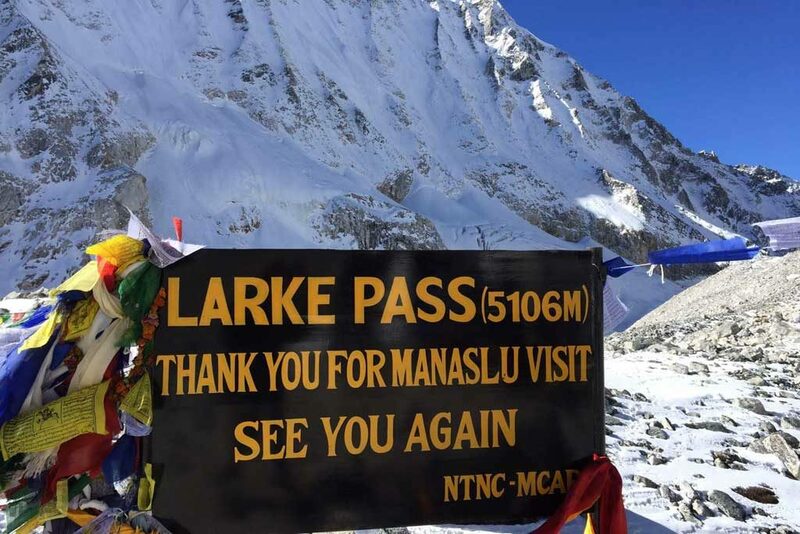 Manaslu region is protected under the boundaries of Manaslu Conservation Area and was officially opened in 1991 for foreign trekkers. 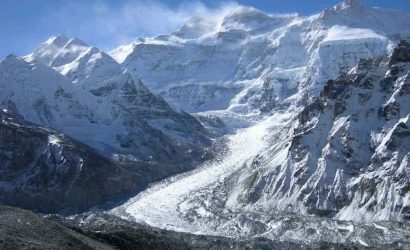 Manaslu Circuit trek has now become the best alternative route to the popular Annapurna Circuit trek. 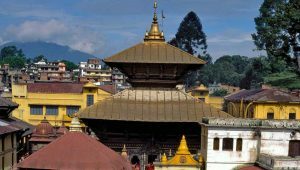 Additionally, the natural and cultural beauty around Manaslu region remarks the trek as one of the best classic adventure treks in Nepal. The adventure starts through the lush green lower hills inhabited by Indo-Aryan Hindus. Then the middle hills by the Tibetan-Burmese, Magar, Gurung and Tamang people on the Budhi Gandaki River. 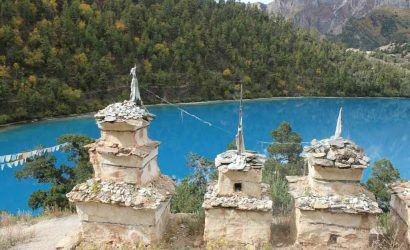 The Manaslu region extends with many ups and downs from sub-tropical forest to the dry Tibetan plateau. 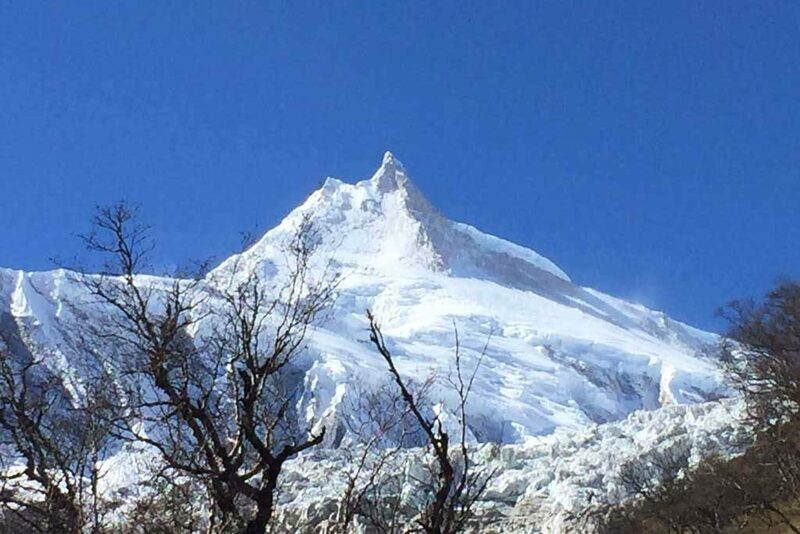 Trekking in Manaslu region constantly rewards with outstanding views of Mt. 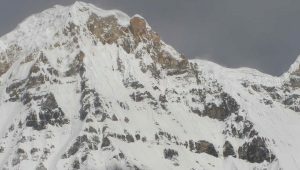 Manaslu (8,163m/26,782ft), the eighth highest peak on the earth and the Himalayan panorama of Ganesh and Lamjung Himal. 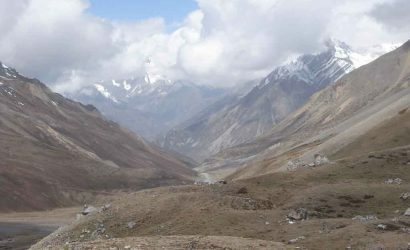 The main attraction of this trek is the Larke pass (5,106m/16,752ft). 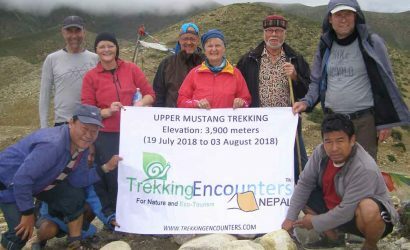 Hence the trek is geographically spectacular, strenuous and culturally fascinating with a nice combination of cultural heritage, natural beauty and great diversity of flora and fauna. Tibetan monks inhabit the sacred monasteries in Samagaon which is just 15km away from the Tibetan border. 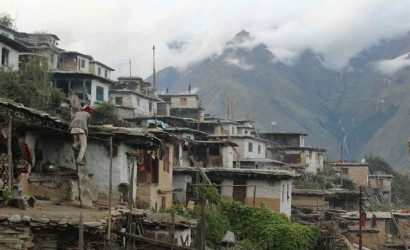 Trekkers can feel a strong Tibetan influence in most part of the Manaslu area. We descend from the top of the Larke pass following through the alpine forests and meet at the main trail of the Annapurna Circuit. Finally, the trek ends at Besisahar or option available to continue over Thorung la pass (5,416m/17,769ft) along the Annapurna trail. 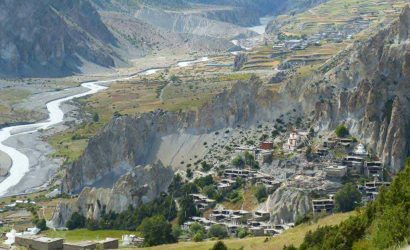 Manaslu Circuit trek has an opportunity of extension with the pristine Tsum Valley also. Drive from Kathmandu to Arughat then to Soti Khola (700m/2,296ft). Trek Soti Khola to Machha Khola (870m/2,054ft). Trek Machha Khola to Jagat (1,340m/4,396ft). Trek Jagat to Deng (1,860m/6,102ft). Trek Deng to Ghap (2,400m/7,874ft). Trek Ghap to Namrung (2,630m/8,629ft). 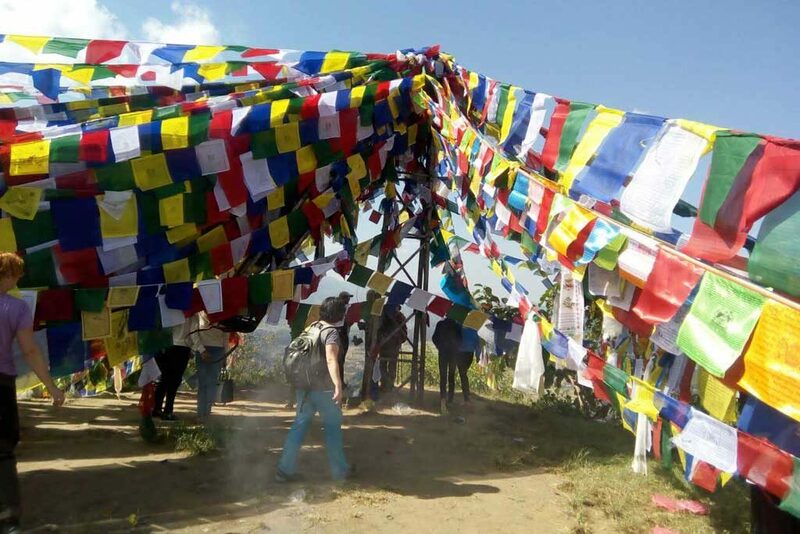 Trek Namrung to Sama Gompa (3,520m/11,549ft). Excursion to Manaslu Base Camp (4,400m/14,436ft) and Sama Gaon (Village). Trek Sama Gompa to Samdo (3,875m/12,714ft). Trek Samdo to Dharmashala (4,460m/14,633ft). Trek Dharmashala to Bhimtang (3,590m/11,778ft) crossing over Larkya la pass (5,106m/16,752ft). Trek Bhimtang to Tilche (2,300m/7,546ft). Trek Tilche to Tal (1,700m/5,577ft). Trek Tal to Bahundanda (1,310m/4,298ft). Trek Bahundanda to Besisahar (823m/2,700ft). 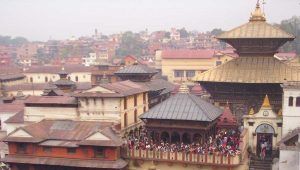 Drive (175km) from Besisahar to Kathmandu.